In the trailer for the upcoming Godzilla anime, we don’t get a good look at the titular monster’s mug. An official statue to promote the movie has gone on display in Japan, finally providing a real-life look at the anime version. 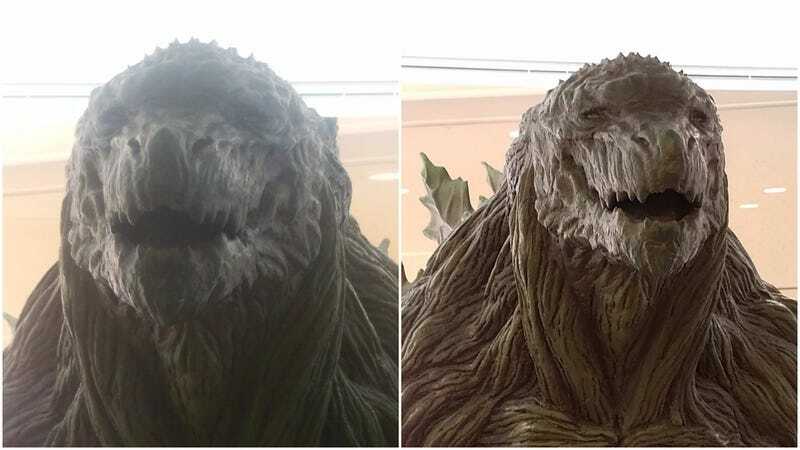 Damn, does this Godzilla look old and melty. Godzilla: Kaiju Wakusei (Godzilla: Monster Planet) won’t be out until November in Japan and then on Netflix internationally after that. The Earth is overrun with Godzilla and other kaiju twenty thousand years in the future. Humans arrive, set to take back the planet from those monsters. So, I guess Godzilla looks good for being that old? The monster sure seems buff.